Projections for the shipping and maritime industry always assume healthy growth, but that assumption is largely based on the historical link between GDP growth and shipping volumes. Global megatrends like changing demographics, technology moving exponentially, Industry 4.0 and new generational mindsets are set to change all that, ushering in a new Seaconomics. As the link decouples the industry has to understand what the impact on volumes and investments will be, and begin to find the answers that will allow shipping to right itself in the digital age. Reassuring each other the upturn is coming isn’t enough. 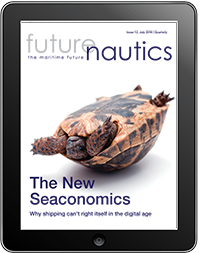 Grasping the new Seaconomics and embarking on digital transformation could be.